Capcom held a NYCC panel about the upcoming Street Fighter V: Arcade Edition, which is both a brand new version of Street Fighter V and a free update for current game owners. The main draw of the Arcade Edition is, as you might be able to guess, is the Arcade Mode, a long awaited feature for many players. Well, this Arcade Mode is going above and beyond the average fighting game offerings. Just ignore the rather warped face, as the new stage was seen in a crystal ball. This new stage appears to be based off Shibuya, Japan. That’s a lot of new information! 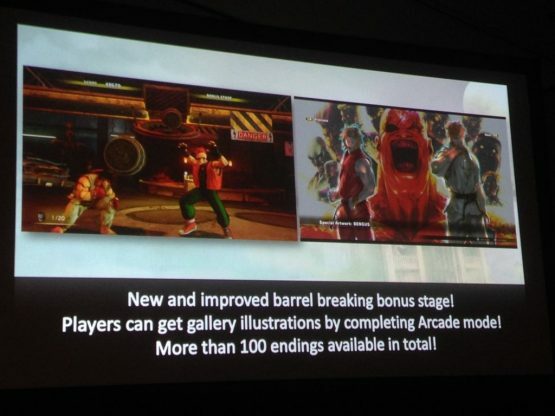 Does this make you excited about Street Fighter V: Arcade Edition? Arcade Edition will release as its own version January 16, 2018, and will also be a free update for current Street Fighter V owners.